I was sitting at my work desk thinking how I can take partial cutting one step further. 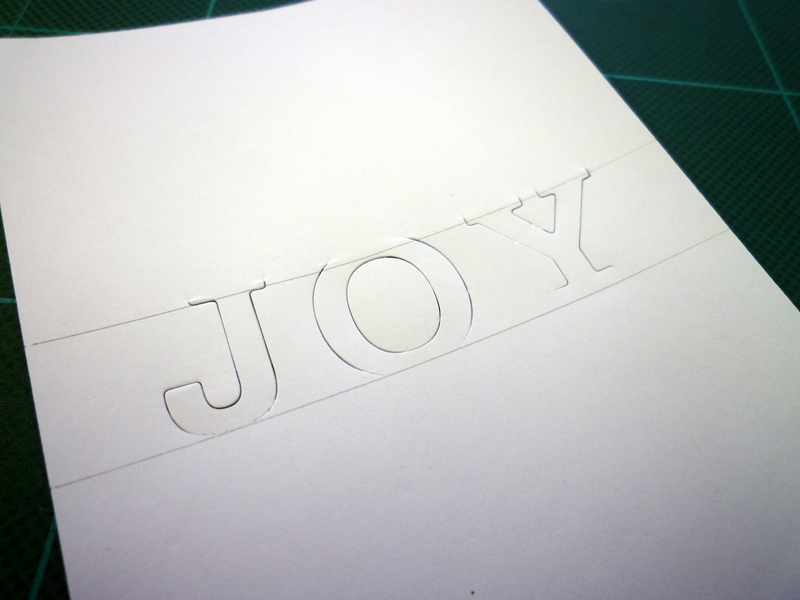 This card uses the partial cutting method shown below. I think this card is going to need more than just one picture to show you how it’s done. Step #1: Draw two lines that will be narrower than the dies. Place the dies in the middle in which the two lines will run through the dies. 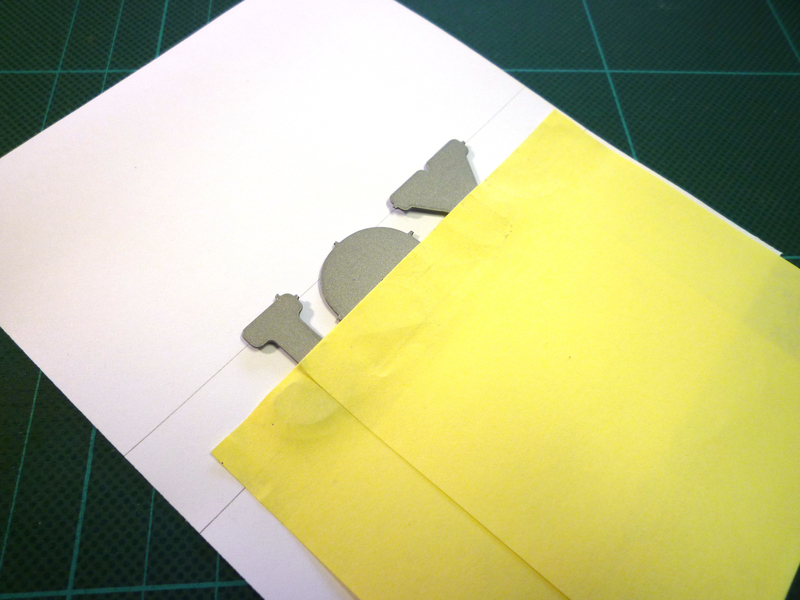 Step #2: Use tape or post-its to secure the letters to the paper. You don’t want the letters moving around when you run it through the Big Shot/Cuttlebug! 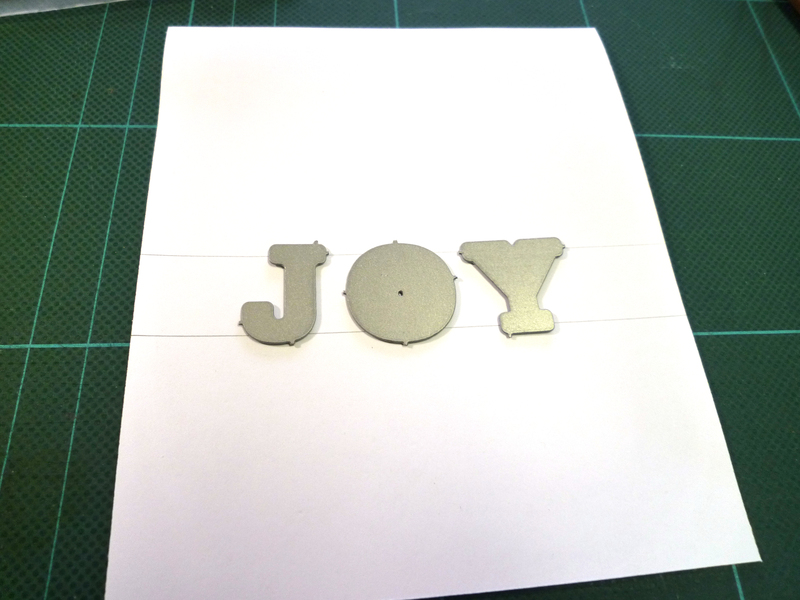 Step #3: Stick it in your die cutting machine! 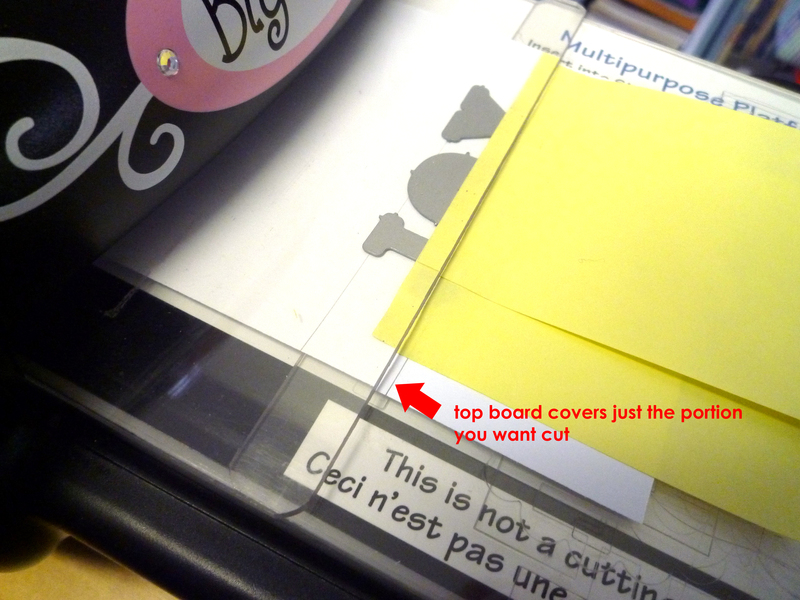 My bottom board is the cutting board, so I leave the part where I don’t want to cut hanging off the cutting board. This is where the lines that you drew in step #1 is helpful. You can line up the top line with the edge of the cutting board. Step #4: Now for the top board, it should cover just the part you want to cut. Line up the top board with the second line you drew from step #1. Step #5: Run it through the machine! This is what you get. A tip would be to NOT line up the boards exactly with the lines on the paper. Always leave some room in case the boards shift. 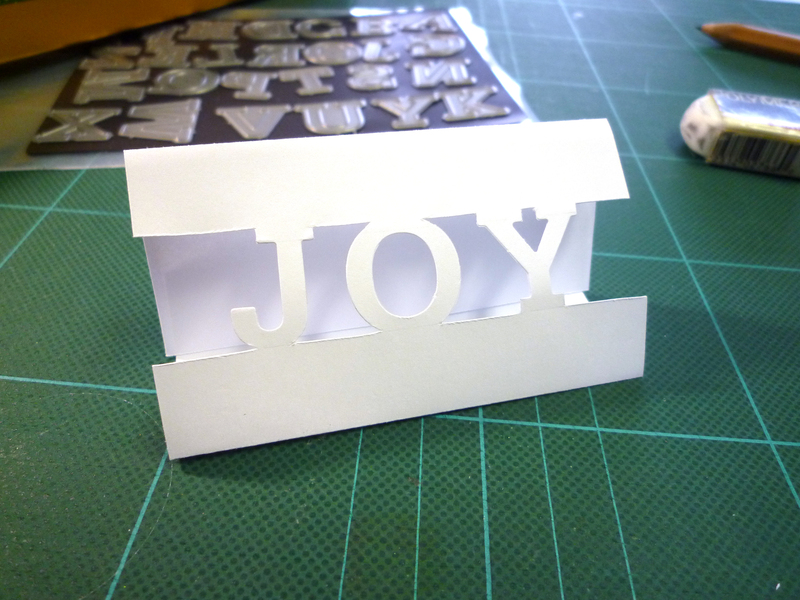 Now you can take your cutting knife and cut out all the negative spaces. 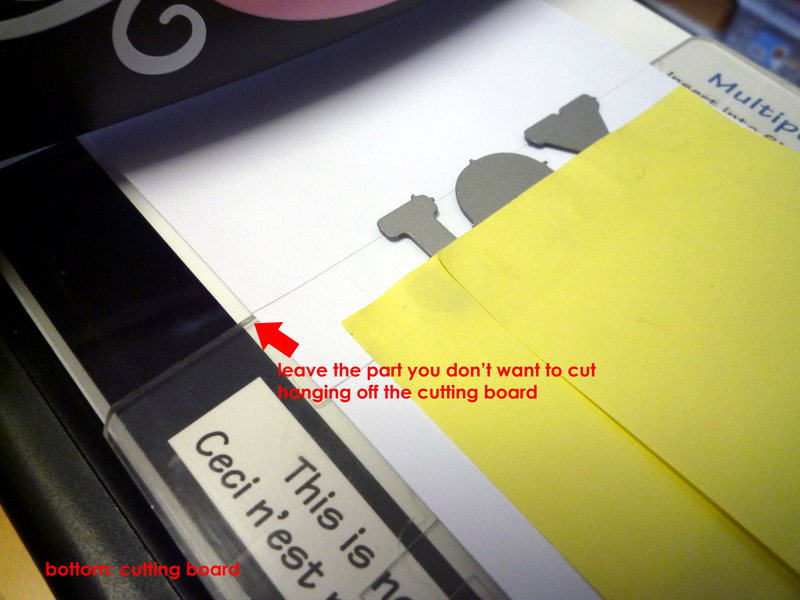 Step #6: For tutorial purposes, I made this on some scrap printer paper so it looks a little flimsy. But after all the cutting, you will be left with this. I think these make nice little name cards for wedding and other special events! Very cool. thanks for showing how to do it. 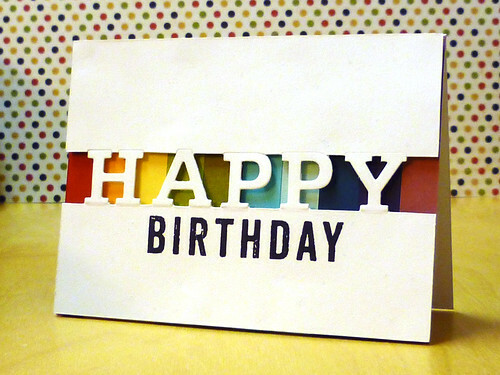 Super cool technique (thanks for the step-by-step), and what an amazing card you made as a result. Congrats on your win! awesome. COngrats on your win. Amazing design! Congrats on your win!